Many businesses put a lot of time, effort and money into the delivery of the very best reward packages for their employees. But, first and foremost, employees need to be engaged with the reward packages themselves for any kind of impact to be achieved. This is why effective communications are a crucial element of your wider reward strategy, critical for scheme success, and require a strategic approach. When designing such an approach, there are several things to consider and explore. That’s why we reached out to over 200 HR professionals to understand what they see as the key factors in this process. Ultimately, the goal must be to have every member of staff knowledgeable of and actively engaged with your reward schemes. The better the engagement, typically the stronger your return on investment. We asked HR professionals which channels they use to deliver reward scheme communications. What we found is that a multi-channel approach is most popular. Emails, letters and posters are by far the most common types of communications, with 100% of respondents using them. 67% also use team briefings and their company intranet to deliver reward messages to their employees. Other less popular methods include one-to-ones, payslip messages, newsletters and surveys. These results clearly establish that a communications mix is optimal for companies. This makes sense when considering the different roles that typically sit within any business and the fact that every employee will have an individual preference as to what communications channel they connect with. As our respondents show, when building your communications plan, it’s certainly important to consider what channels you have access to and can use, as well as which channels will actually work and connect with your employees. At peoplevalue, we use our ‘Three Ps’ approach when it comes to the communications planning process for our client schemes. The P’s being – Pixel (electronic communications), Paper (printed communications), Person (face-to-face communications). Using this method means that our communications plans work for all employees, regardless of whether their role is online or offline, office-based or remote. Tailored communications certainly work when delivering messages to an external audience. Whether it’s your customers or potential leads, it makes sense to segment them into different groups and send them relevant content. However, when it comes to your internal reward scheme it can be a bit more complicated, because you don’t want to make assumptions and exclude areas of your workforce, or worse unintentionally discriminate. This is certainly the case when it comes to segmenting your workforce into different age groups, a view we found to be shared by our survey respondents. Interestingly, none of our respondents said that they tailor their internal reward communications to different age groups. The issue of discrimination and age bias comes into play here. While you want your employees to receive relevant content based on their work life stage, you don’t want to exclude them from receiving specific content too. Of course, the interests of different generations will certainly be different, but you cannot base your reward communications entirely off assumptions. The respondents from our survey have shown that age segmentation in particular is unpopular, which suggests that tailoring your communications to different groups within your workforce could be counterproductive to engagement and should therefore be approached with caution. It’s all about finding the right balance, which is why asking your employees for feedback is a useful tool. Simply ask them what they want to know, and how they want to know about it. That way, you can accurately determine the channels and the content that works for your employees. 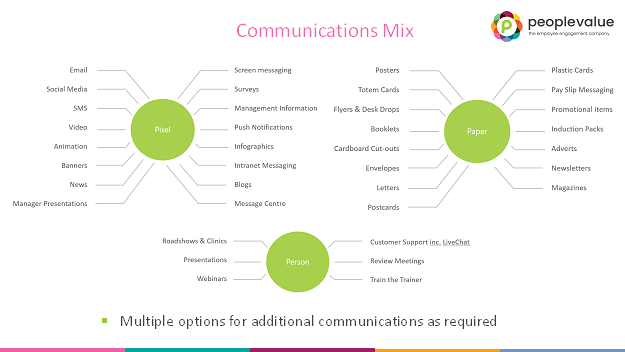 Many businesses give their employees the option to set their own preferences as to what types of communications they receive. However, this approach may not be as popular or as effective as initially considered. 82% of the HR professionals we surveyed don’t enable their workforce to set their own preferences for the type of communications they receive. While this may be a surprising result, it actually further reflects how companies want to avoid exclusion when it comes to their reward communications. Transparency and equality are clearly of great importance. Delivering everything to every employee means that everyone in the business has been given the same level and detail of information. It also doesn’t remove employees’ freedom of choice, because they can still decide what communications they want to engage with, after it has been delivered to them. As a result, while preference setting is a handy tool, our survey has shown that in the context of internal reward communications, it’s not critical. Interestingly, 67% of those surveyed don’t have a defined reward communications plan, and at the same time, 60% don’t measure the impact of communications on their reward scheme engagement. While this may suggest that a strategic approach to reward communications is not that popular amongst HR professionals, it actually reflects a lack of resources. In fact, when asked why they don’t tailor their internal reward communications, 18% of respondents said that it’s because it’s too difficult or costly to do, and a further 18% said that it’s because they don’t have the operational capability. Evidently, having the right infrastructure, tools and resources is a key factor in delivering tailored reward communications. Using third party providers or having support from a reward provider could be a viable solution for companies that don’t have access to the right tools in-house, because it will provide them with a foundation to deliver tailored reward communications. Ultimately, our survey has revealed that when devising your reward communications plan, you need to think about the best channels to deliver messages to your employees. 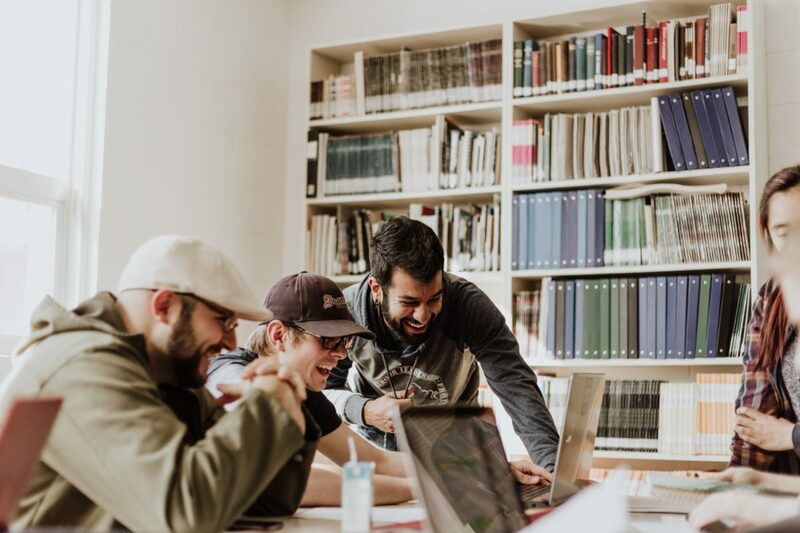 A multi-channel approach is optimal because it takes into consideration the various factors that influence how employees connect with content. On top of this, while segmenting your workforce and allowing employees to set their own preferences in terms of what communications they receive can be useful tools, it’s considered better to deliver all of your communications to everyone in the business to avoid exclusion. You should also give your employees the ability to opt out if, for any reason, they no longer want to receive information about your rewards scheme. Most importantly, understand the needs of your employees and adapt your communications accordingly. Find out how we can help you implement a successful reward and recognition scheme by clicking here. 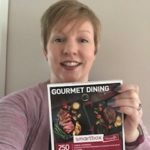 Congratulations to the winner of our survey prize, Rochelle!